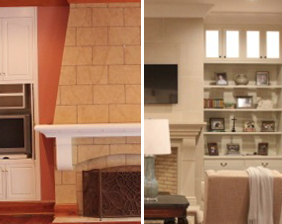 This stunning makeover took place in a 1929 Mission Revival home in Santa Fe, New Mexico. 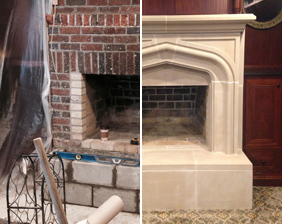 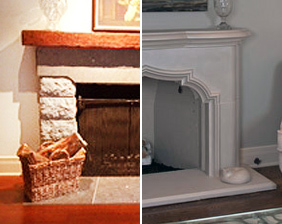 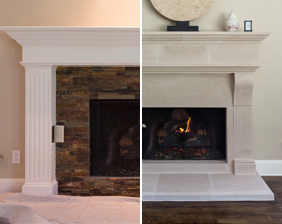 The owner placed two coats of joint compound over the existing brown textured walls to create a crisp clean palette for the stately Brunswick mantel. 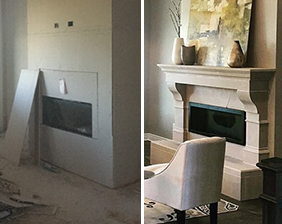 The curved archway is a perfect contrast to the hard lines of the Brunswick fireplace and really makes the room’s new statement piece pop!